At American Remodeling Corp., we have the ability to design and build new garages. We also provide painting and flooring services to our clients as stand-alone projects or as part of a larger bathroom or kitchen remodel. 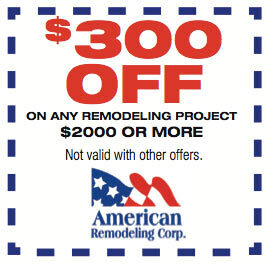 You can also rely on American Remodeling Corp. to provide exceptional service throughout your project, since we are one of Maryland’s most trusted home remodeling contractors. No matter what type of exterior project you have in mind – a new garage, a gorgeously painted room, or beautiful new flooring- you can trust our team to make it a reality right before your eyes. Many contractors claim to offer garage services, but in reality can only offer garage organization systems. Make sure you do your research and confirm what garage services a contractor is capable of offering to you.